It is an effective tool for advertising to get user's attention on your site. 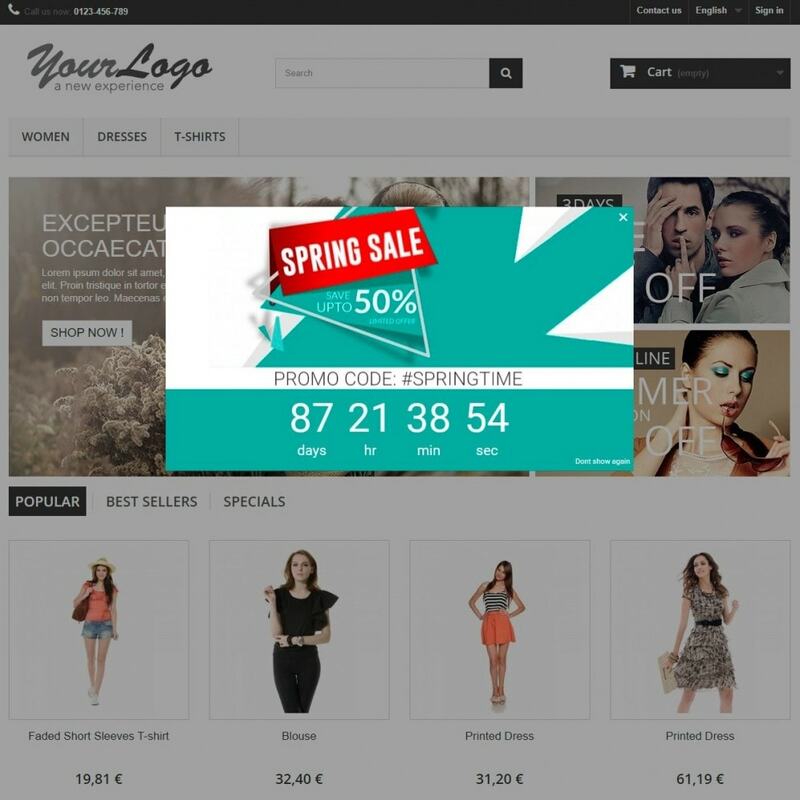 Enhance your website by adding a unique and attractive banner! The ticking timer is a useful feature to terminate your product sales, and it is also a perfect motivator. Change time and animation speed display popup. Set width and height for popup. 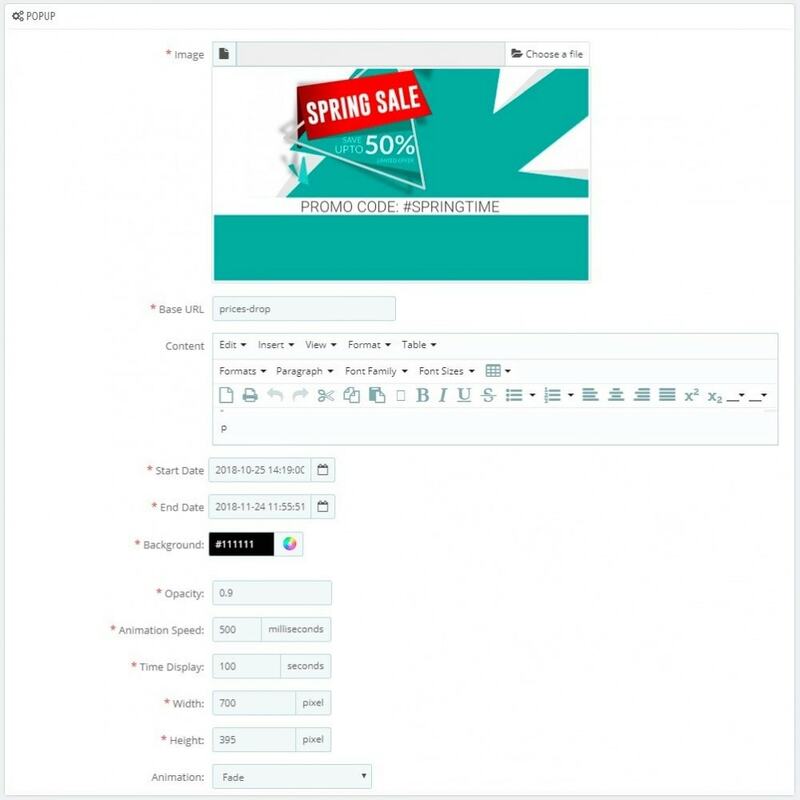 Set animation type: fade, slide, none. Change background and opacity for back popup. 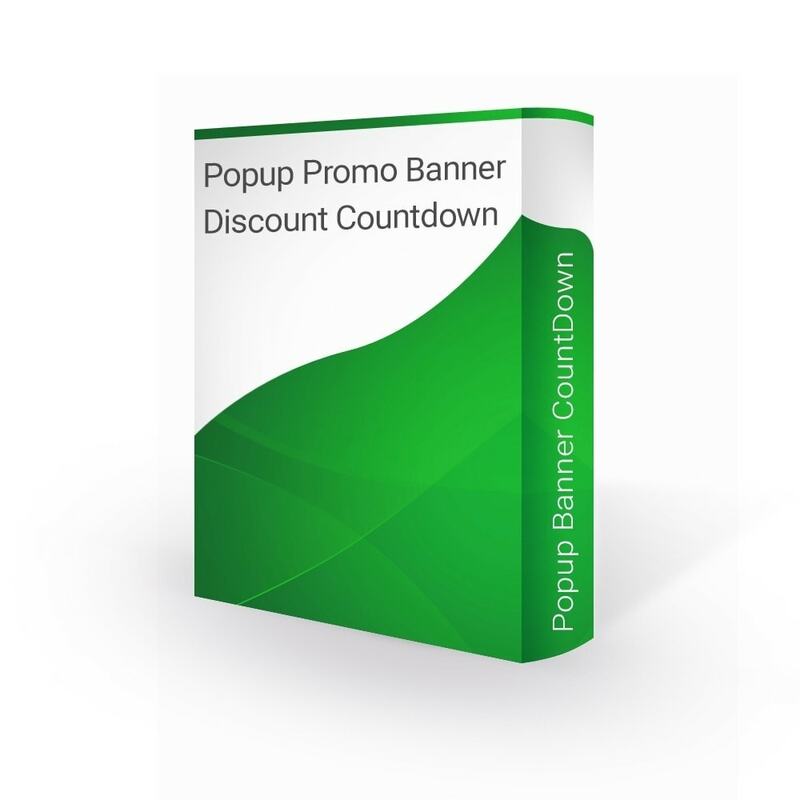 This easy at installation and flexible at configuration module allows you to create attractive Popup Banner Discount Countdown in a couple of minutes!